This post is for the givers out there who have so much to give to others that they forget to give to themselves. It’s great to always be the dependable one, the loyal one, the one who will always be there at a moments notice no matter what. However, it’s not so great to be that loyal hero when the one who needs saving is the hero. We get caught up with everyday life and the responsibilities of it all. Taking care of the kids, making sure homework is done, laundry is done, the mail is sorted, the dishes are cleaned, the pets are fed, the groceries are put away, the sick are comforted, the stranded friend is picked up at the mall, the extra time at work, and it goes on and on endlessly. A person can get lost in all the chaos and people usually do. 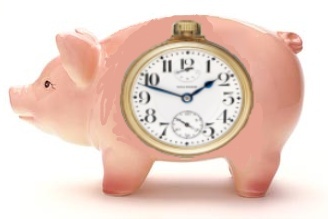 Think of it as a virtual bank of seconds and all those seconds add up to valuable minutes. Every time you say, “Yes.” to someone else you are giving a valuable piece of your time away to someone else, which in turn is time that is taken away from you for your own use. Time ticks away regardless of how you spend it but the most important thing to remember is that you can’t get time back. So when you give your time away to someone else you won’t get that time back. It’s time to learn how to honor yourself by saving some time for you. 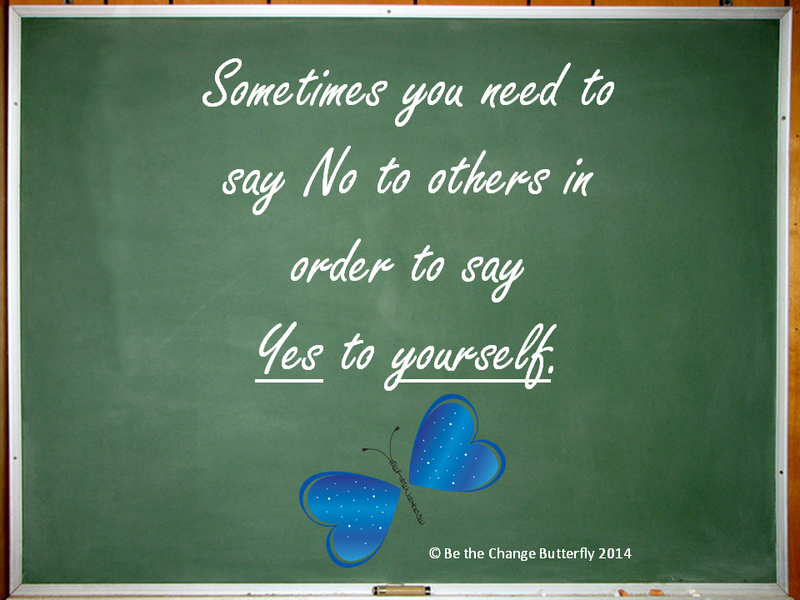 The first step is to realize that you need to start honoring yourself by saying, “Yes.” to yourself on a regular basis. It’s important to acknowledge the value of yourself in order to start honoring yourself. Otherwise, the act of saying, “Yes.” to yourself is meaningless if you don’t know that it’s worth it to give yourself some of that precious, well deserved time. Recognize that the power to control everything has the power to control you too. It’s okay to delegate responsibility in order to get some extra time back for yourself. Who cares if the laundry is not going to be folded in that ‘oh so perfect’ way that only you can do. What’s going to happen? Are the laundry folding police going to come over and arrest you because the bathroom towels are not folded to your standards? The point is that it’s more important to learn to let go of control in order to regain control of your free time for yourself. Kick that guilt monster to the curb. Don’t feel guilty because you elected not to help out with the local cookie sale for the millionth time or you told your always stranded friend that she will need to call someone else for a ride. Guilt has a way to fester inside that builds up if it is self fed. Don’t feed the guilt monster! Think about all the people who have ever said no to you for one time or another. Usually circumstances beyond their control warranted their no to you and everything eventually turned out alright. Remind yourself that everything will be alright when you say, “No” because truthfully everything does eventually end up okay. People won’t think less of you if you tell them no. They may actually admire you for standing up for yourself for a change. A strange thing happens when you begin to honor yourself. Others will honor you by realizing that you matter too. You have to show people that you know you matter and you deserve valuable time to do as you please. If people do start criticizing you for saying no then remind yourself that those are the ones who have grown addicted to your heroism. It’s time to ween them off by establishing boundaries in order to pay homage to yourself. People will walk all over you if you let them. Don’t let them. The giver in you will always want to do just that, give. However, it’ just as important to give to yourself because you are worth it and you deserve it. It’s time to treat yourself with respect and start saying, “No.” to others in order to say, “Yes.” to you. Your future self will than you for it. Mahatma Ghandi once said, “If we could change ourselves, the tendencies in the world would also change. As a man changes his own nature, so does the attitude of the world change towards him. … We need not wait to see what others do.” This statement spurred the popular saying, “Be the change you wish to see in the world.” www.bethechangebutterfly.com was created to help instill that change within you. Stop by for a visit to Be a part of the Change. Gallery | This entry was posted in Be the Change Lifestyle and tagged Establish boundaries, guilt free, Hero, honor yourself, let go of control, respect yourself, Say No, self-esteem, time. Bookmark the permalink.